Success tastes the sweetest post many adversities. 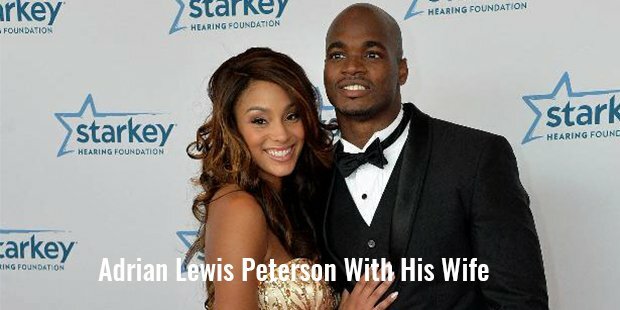 Growing up in a traumatic childhood, Peterson became an American football player with a single-season rushing record and won the NFL MVP Award in 2012. His father, Nelson, was a former basketball player at Idaho State University. His mother, Bonita Jackson was a track-and-field champion in Texas. You could say that Peterson had the genes for sporting success. 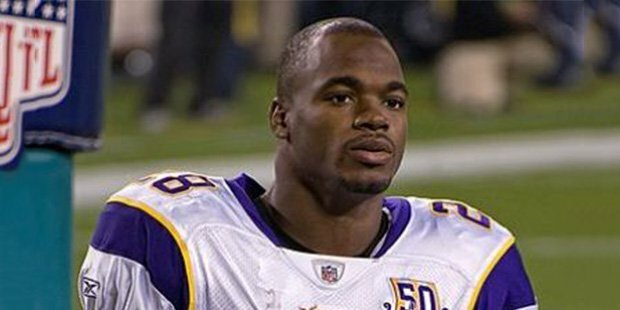 As a child of age 7, Peterson had the misfortune to watch his older brother, Brian, die in a drunken-driving accident. Six years afterwards, he watched his father get arrested on charges of money laundering in relation to drug dealing. He developed anger issues, which he vented out into sports. At Palestine High School, he played various sports such as basketball and football and participated in athletics. However, he was best at football. As a senior running back, he rushed for 2,960 yards and achieved 32 touchdowns. He won the honor of National Player of the Year by various organizations. At University of Oklahoma, Peterson’s preferred method of playing seemed to involve mowing down opposition team players, even though he was capable of outrunning most defenders. In his third college game, he ran for 183 yards and reached the top mark of 200 yards 3 times while reaching the Division I-A freshman record of rushing 1,925 yards. In the 2004 Heisman Trophy race, he came in second. He was given the title of a consensus All-American. 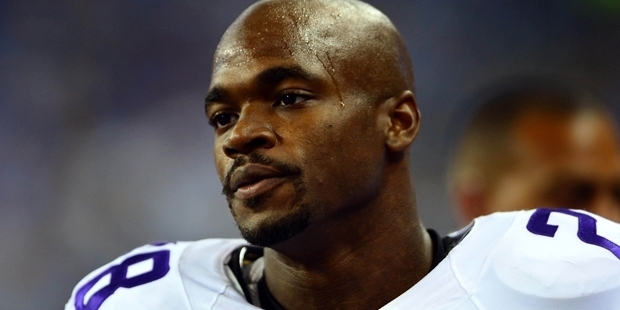 Peterson was troubled with several sports injuries during his sophomore year – a sprained ankle and a broken collarbone. He missed a total of 11 games due to his injuries. In 2007, he proclaimed himself eligible for the National Football League Draft. Before he was to show his skill before his employers, his half brother, Chris was killed in a shooting at Houston. Despite the tragedy, Peterson did well in the tests. However, questions were raised about his previous injuries. Eventually, he was selected at 7th place by the Minnesota Vikings. Luckily for the Minnesota Vikings, he proved to be an excellent performer at the NFL. He set an NFL single-game record of rushing 296 yards in the 8th week. His season in 2007 finished with him rushing 1,341 yards and reaching 12 touchdowns. Adrian was honored with the title of NFL Offensive Rookie of the Year. In 2008, he reached 18 touchdowns and rushed 1,760 yards but his team lost to New Orleans Saints due to many fumbles in the NFL Championship Game. In 2011, his tendency to sustain injuries came back to haunt him. He suffered fresh injuries – tearing the anterior cruciate and the medial collateral ligaments in the left knee. As a result, he was kept off the Pro Bowl roster for the first time. This raised serious doubts about whether he could return to prime form again. In 2011, Peterson underwent surgery for his injuries and undertook rehabilitation to get back to form. So dedicated was he that he returned on the opening day of the 2012 NFL season. It was all the more surprising to see his fetes considering that he played the second half of the season with a painful hernia. Peterson is well respected and looked up for his hard work, determination and never say die attitude that inspires many.